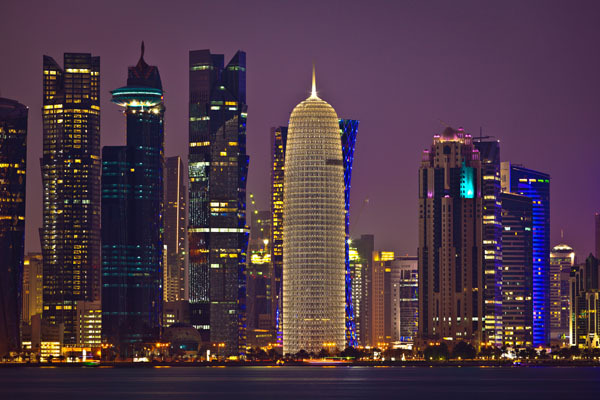 Considered to be one of the most liberal and wealthiest cities of the Gulf, Doha is one of the fastest growing and wealthiest cities in the world where Americans can now visit without a visa. 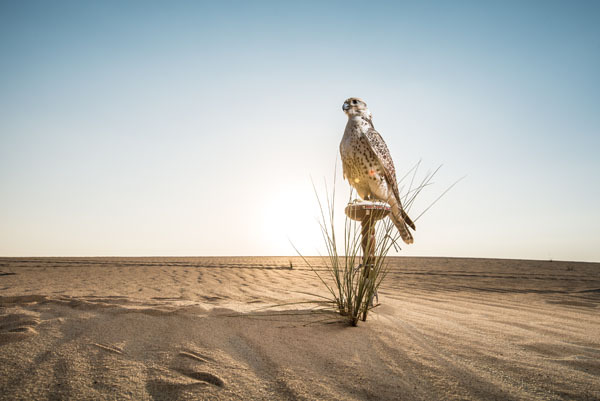 Though Qatar became sovereignty only 46 years ago, it has the highest per capita GDP in the world to fund a flourishing arts and cultural scene along with an expanding landscape of luxury hotels, restaurants and other opulent attractions. With its convenient proximity to Asia and Africa, Doha is a convenient transit point to get to other exotic destinations such as the Seychelles or Bali, but there are also plenty of reasons to stay and visit this dynamic and modern metropolis where luxury has no bounds. 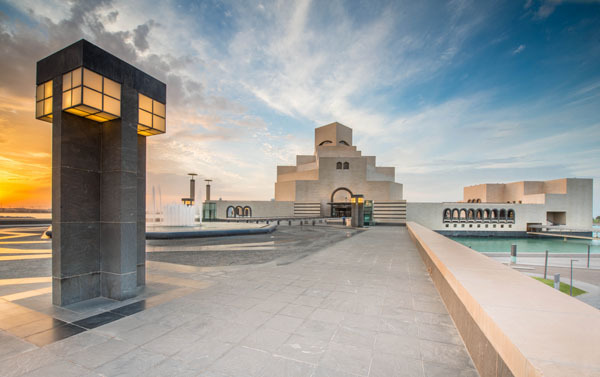 The Museum of Islamic Art is an architectural marvel designed the renowned I.M. Pei set along the waterfront. Housing a comprehensive collection of masterpieces collected from over three continents dating from the 7th to the 19th century, the architecture is as much of an attraction as the permanent collections. At the heart of Doha’s flourishing contemporary art scene is The Fire Station Artist in Resident program and Garage Gallery. Since 2012, this former fire station has been converted to a creative space that offers a 9 month residency program to emerging artists from around the world to complete their individual projects. Set on the waterfront, the Katara Cultural Village is the center of Qatar’s most important arts and cultural programs and comprised of a complex of exhibition galleries, theaters, and concert halls that hosts international festival, performances and exhibitions including The Tribeca Film Festival. 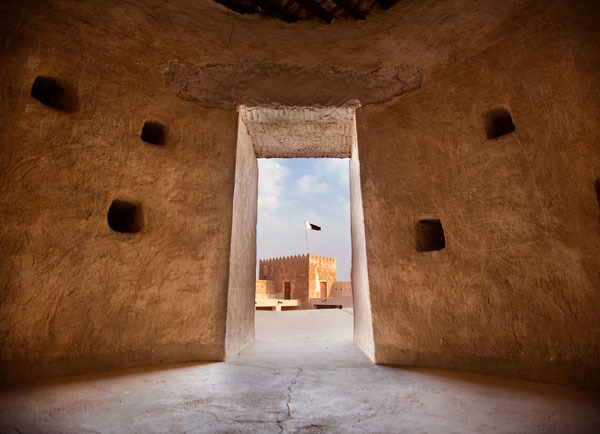 Experience a taste of Bedouin culture at the bustling Souq Waquif designed after traditional Qatari architecture. 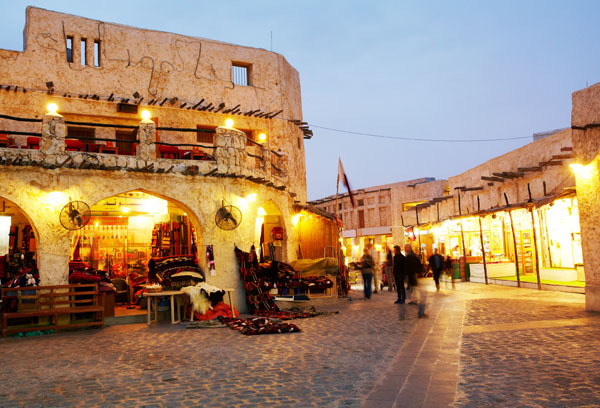 Explore the labyrinth of small shops selling traditional clothing, souvenirs, spices, perfumes, and other curiosities including falcons and savor authentic Middle Eastern dishes from one of the many intoxicating street stands. 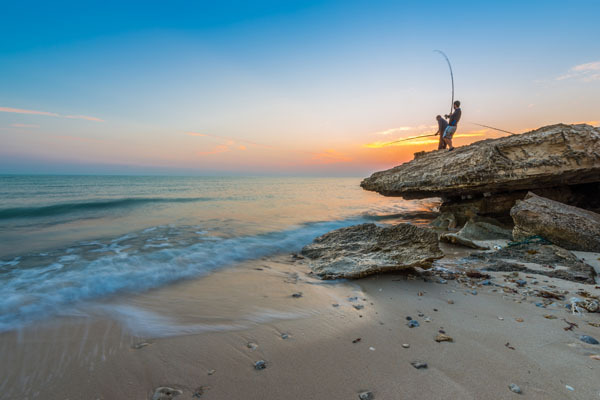 Just an hour outside of Doha lies Qatar’s most impressive natural wonders- the Khor Al Adaid, Inland Sea, where many Qataris spend weekends cooling off by the coastline. 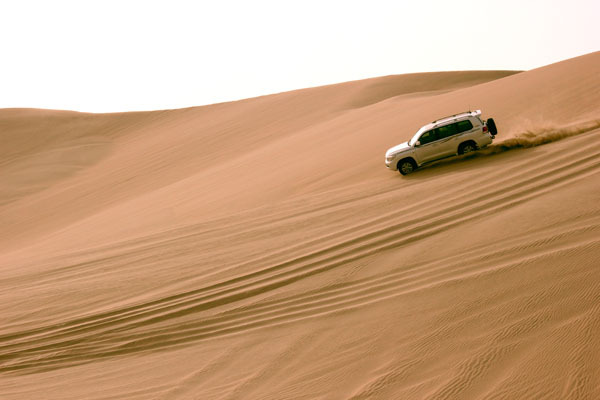 Explore the desert on an adrenaline induced Desert Safari, a.k.a. Sand Dune Bashing in a 4×4 that speeds along the peaks of sand dunes and descends down the slopes as you explore uncharted territory. 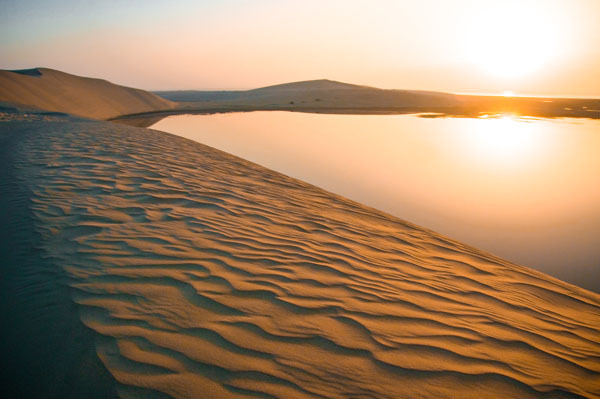 See the infinite horizon of the desert and then cool off in the crystal waters of the inland sea that reaches the desert. While there are a number of Western dining establishments that cater to the expat community, Doha has a number of notable culinary gems that reflect the flavors of the region. Experience the exotic flavors of Afghan cuisine at Ard Canaan in the Katara Cultural Center. The beautiful and dramatic interior reflects the architecture of the Al Aqsa Mosque with vaulted ceilings, stained glass and columns crafted from limestone imported from the Holy City of Jerusalem. Enjoy a range of delicious Middle Eastern mezze and traditional Afghanistan and Palestinian dishes. Considered to be Doha’s best Lebanese restaurant is the seven star Al Mourjan. Whether dining alfresco or inside the lavish glass walled dining room their prime location on the waterfront offers panoramic views of the illuminated skyline and Arabian Gulf. Their renowned gastronomic menu includes a range of authentic Lebanese dishes with fresh seafood and exquisite BBQd meats to whet the appetite making it a favorite amongst celebrities, royals and international foodies. As Doha is considered a wealthy playground of the Middle East, naturally there are the requisite exclusive hotspots catering to the beautiful and filthy rich. Thought it is considered a ‘members only’ nightclub, booking a table with a minimum spend will grant access to Doha’s most sought after club, Illusion. Perched atop the opulent Marsa Malaz Kempinski Hotel under one of the soaring cupolas, this cube shaped nightclub is decked out like a plush English gentlemen’s club with rotating international EDM DJs, aerial acts and smoke machines that fuel the night. Across the rooftop is the lush Secret Garden- a chic alfresco restaurant and lounge offering panoramic views of Doha. Dine amongst a beautiful trellised terrace or enjoy a nightcap under the stars. Thursdays are the most popular night which kicks off the weekend in the Gulf countries. 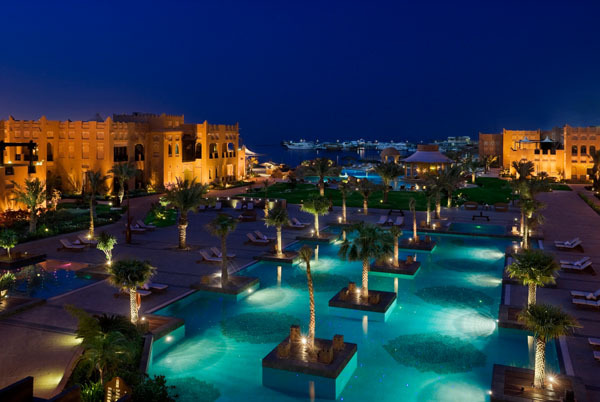 Though most of the five star hotels are located in skyscrapers in New Doha, the luxurious Ritz Carlton Sharq Village & Spa is nestled on a private beach in Old Doha and designed as a tranquil and lush retreat that reflects traditional Qatari architecture. Their spacious suites are appointed with antique Islamic furniture and ensuite balconies and are spread amongst 14 two story villas with center courtyards and landscaped gardens. Cool off at the private beach or expansive infinity pools. Refuel at their signature restaurant that specializes in Middle Eastern cuisine. One of the highlights of the property is the renowned Six Senses Spa which is known for their wellness center. Paying homage to the original homes and architecture of Doha’s origins as a fishing village, the spa exudes a zen like feel from its color palette to the ochre stone floors and walls. The 70,000 square foot spa includes a state of the art fitness center, beauty salon, relaxation areas, quiet pools, and prayer rooms. Treatments begin with a 45 minute wellness assessment which gives a detailed snapshot of your overall health that shows where you are doing well and areas that need improvement which will determine the right treatment to address your individual needs. Their 250 unique and exotic treatments and rituals offered reflect the healing powers originating from the Far East and ancient Arabic times to ensure total relaxation and rejuvenation. The fastest and easiest way to travel to Doha is via Qatar Airways which offers daily non-stop flights from JFK to Doha. Recognized by Skytrax as offering the best business class seats and service in the world, Qatar Airways does not only offer the most luxurious and comfortable surroundings but also the most state of the art developments in their latest A350 jets. For full privacy, book a Business Class QSuite that converts into a 2 – 4 person private suite if traveling with family or colleagues.